It’s common for us all to suffer in our neck and shoulders because of our modern lifestyle and body structure. This stems from poor posture and repetitive strain to injuries or conditions that we endure from time to time. In this workshop, we will examine the region of the upper torso as it relates to the neck, shoulders and head. Through intelligent and aware asana you will learn to relieve the stresses of the moment and those to come. 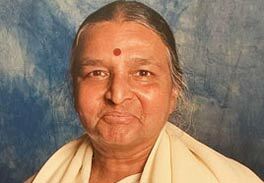 The devoted and prolonged study of Iyengar Yoga has brought Todd health of mind and body for more than two decades. As a seasoned teacher in this respected lineage, he brings an intuitive intelligence to asana, pranayama and philosophy. Todd has the intention and ability to build his classes around the particular students attending class on any given day. By deconstructing complex actions within asana, he gives his students access to the realizations within these postures. His sense of humor and enthusiasm brings joy into the profound work performed in the asanas. 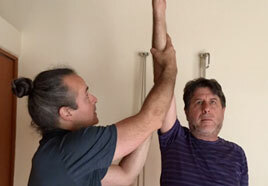 Todd has had the great privilege of studying Iyengar Yoga with Manouso Manos for 18 years and assisting him for 17.5 years. He has been to Pune, India to study with the Iyengar family on numerous occasions from 2004 onwards. He is grateful for all of those who have come before him to help make this path more attainable.